Here is a little difference between the new version and the old version of the G202/G202B(see the picture above). the new version and the old version will be shipped at random. 1. Worldwide shipping, provide combine shipping and tracking number. 2. Orders process within 24-48 hours after payment receive. 3. Please make sure you DO leave the correct and completed shipping address on Aliexpress. Delivery Time: 1. Usually it takes 7-15 days arrive US, CA, UK, AU. ship through China Post ePacket. 2. Europe countries need 15-25 days, Russia need about 30 days, South America 25-35 days. Please wait patiently. 3. Package will be delayed during big holidays like Christmas,New Year, Chinese New Year(By most chance). Unpredictable facts like strike, bad weather, custom checking .etc may cause delay too. If you require a specific delivery date for your items, please do confirm with us before you make orders. Communication: 1. If you have any question, please contact us freely, we will reply in 24 hours. 2. 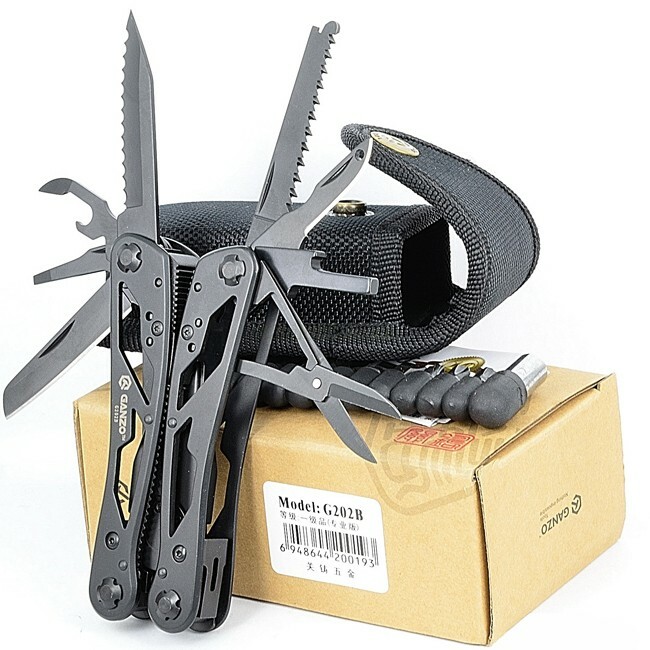 We send knives as gift, and mark them "Camping Tool" on the shipping label. the value about 10-20 USD. 3. Sometimes custom maybe seize knives for security reason, Please know your state laws before order it. thanks.